Rankings of the University – National Technical University "Kharkiv Polytechnic Institute"
National Technical University «Kharkiv Polytechnic Institute» is renowned for its high reputation in the field of education and research. A wide variety of curricula and a high level of education attract an increasing number of school-leavers. The University holds key positions among the institutions of higher education in Ukraine and worldwide, therefore the diploma of NTU «KhPI» has a high rating and it is recognized worldwide. The ranki ng was promoted in 2004 by Quacquarelli Symonds jointly with British Periodical Times Higher Education. In the ranking of scientific institutions SCImago Institutions Rankings of the International Institute SCImago the University ranked 348 among the key research centers and universities of Europe with regard to the research done. SCImago is in the top five of the most authoritative world ranking agencies in the field of science and education and it is considered to be the most unbiased, because the experts assess the institutions of higher education and scientific institutions using the data of international databases for the last five years. The institution spontaneously joins the ranking, if at least 100 scientific papers are with the Scopus database for the last year. 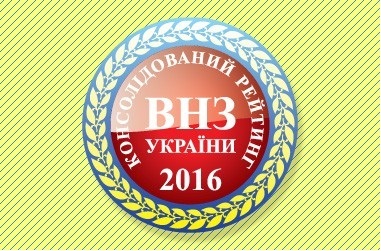 In the consolidated ranking of the institutions of higher education in Ukraine in 2016 presented by the information and education resource «Osvita.ua» http://ru.osvita.ua/vnz/rating/51741/ the NTU «KhPI» ranked fourth. The ranking takes into consideration the most authoritative national and international rankings of the institutions of higher education in Ukraine, according to the experts and mass media: Top-200 Ukraine, Scopus and Webometrics. In the «Top -200» NTU «KhPI» ranks fourth among the Ukrainian institutions of higher education and with regard to the indicators of activities it ranks nine in the Scopus database and according to the Webometrics ranking it ranks seven. National Technical University «Kharkiv Polytechnic Institute» is in the top five institutions of higher education of Ukraine in the ranking of employees and it ranks first among the Kharkiv institutions of higher education. In the International Ranking WEB of Repositories http://repositories.webometrics.info/en/Europe/Ukraine, the electronic repository of the NTU «KhPI» (eNTUKhPIIR) ranked seven in Ukraine and 623 in the world. NTU “KhPI” became a participant in the new world rating THE University Impact Rankings 2019, which assesses the global success of Universities in achieving the United Nations Sustainable Development Goals. NTU “KhPI” presented information for 4 areas of the rankings and, according to the results, became the first among Ukrainian Universities in following categories: “climate-related” and “industry, innovation and infrastructure”. – category SDG4: qualitative education – place 301 + (all represented Ukrainian higher schools have the same indicators). 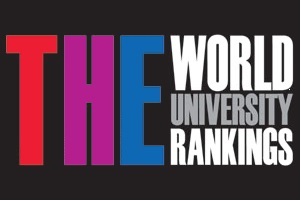 The Times Higher Education University Impact Rankings is the only global ranking that assesses the global success of universities around the world in achieving the United Nations’ Sustainable Development Goals (SDGs). According to the rules, each university should have chosen not to less than 3 of the 11 presented objectives and provide data. The electronic archive includes the publications of scientific papers written by the scientists and teachers of the University. Among them are the scientific papers that were published in scientific journals, training and methodical manuals and scientific publications. In the ranking of world universities Webometrics Ranking of World Universities http://www.webometrics.info/en/Europe/Ukraine NTU «KhPI» is in the TOP -10 of the institutions of higher education of Ukraine and it ranks seven with regard to the level of the presentation of the activities carried out by the institutions of higher education on the Internet. The ranking counts more than 26 thousand of the universities worldwide and 342 of them are the institutions of higher education of Ukraine.